Thank you for your interest in our security career-training program! We are confident you will find the CPP30411 – CERTIFICATE III IN SECURITY OPERATIONS an exciting and convenient step in achieving your career goals. Successful completion of this qualification will satisfy police licensing requirements for Armed Security Officer Endorsement. The aim of the Certificate III course is to develop a student’s proficiency in providing Armed Operational Security Services for Cash-In-Transit, ATM Armed Security Services, and Armed Escorts for Special Consignments and Valuables. The key content of the program includes legislative requirements within the Security Industry, Customer Service, Teamwork, Safe Handling and Use of Firearms, Communication Skills, Managing Risk, Reporting Security Incidents, Occupational Health and Safety, and Emergency Procedures. The course is presented via a combination of structured tutorials, workshops, case studies, video, practical assignments at the academy and on the firing range, and workplace application. Individual and group work activities and assessment activities are conducted throughout the course. The formal prerequisites required are successful completion of the CPP20212 – CERTIFICATE II IN SECURITY OPERATIONS; and language literacy and numeracy skills are essential. The training workshops will address the following Units of Competency as identified in the National Training Package. 14 units of competencies must be successfully completed to attain the CPP30411 – CERTIFICATE III IN SECURITY OPERATIONS qualification. RPL is available for each Unit of Competency based on relevant workplace experience, formal training, or other expertise. To apply for RPL, please call 1300-788-827 for evaluation by RAY MANCINI ACADEMY trainers and assessors. The Security Industry is one of the fastest growing industries in the world today. The course will provide exciting and challenging opportunities in a variety of areas. Successful completion of this nationally recognised course will enable participants to work in operational areas of armed security such as Cash-In-Transit. After successful completion of the CPP30411 – CERTIFICATE III IN SECURITY OPERATIONS students then have the option to progress their study and complete the DEFENSIVE TACTICAL HANDGUN for Armed Professionals such as Police Officers, Military Personnel and CIT Armed Security Personnel. 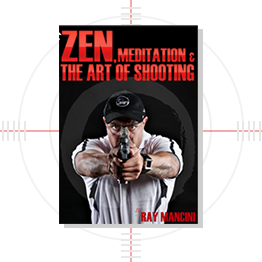 CLICK HERE FOR FURTHER INFORMATION ON DEFENSIVE TACTICAL HANDGUN FOR ARMED PROFESSIONALS. Click Here to download our training catalogue.